The Day in Question is finally here, 11/22/63 at 12:30PM Lee Harvey Oswald fires the first shot at John F Kennedy, but we are pleased to report that the first bullet missed due to a sudden disturbance in the force, I mean depository as Jake and Sadie arrive to save the day. OR DO THEY?!?!?! With the assassination averted, there are consequences for both Jake and Sadie and the final episode of the Hulu event series takes us on a journey exploring just what those consequences are. Some good, some bad, but overall a time loop is upon us. Will we get a season 2? The world may never know, but if we do it all starts back at the rabbit hole. The clock this week actually was non existent, was this due to the changes that rippled through time? Also notice how all of the tight red strings came unraveled and lose! Was this a foreshadow of the future falling apart? 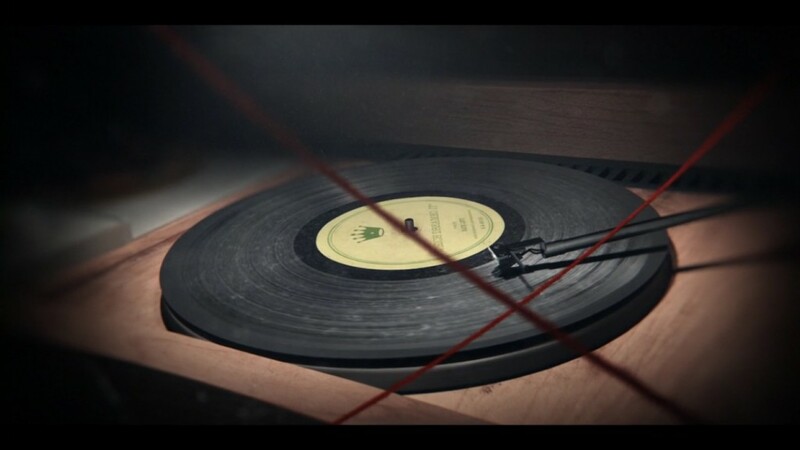 Also on the record this week You can hear a great selection entitled “Which Dreamed It”. There were also a ton of Stephen King easter eggs in the finale episode! Did you catch them all? During the stair climb to the 6th floor you can see REDRUM written on the wall from “The Shining”. 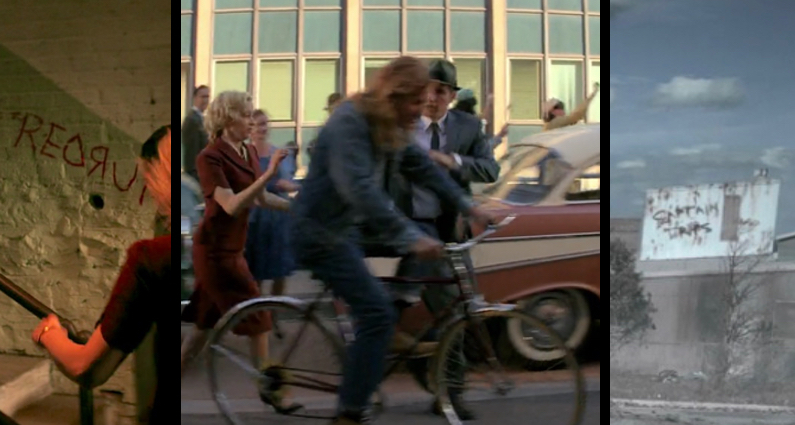 A man on a bicycle with long hair rides past Jake and Sadie and is non other than Randall Flagg from the TV Mini Series “The Stand. And in the dystopian future, it looks as if the super virus known as Captain Trips from “The Stand” may be in full effect. 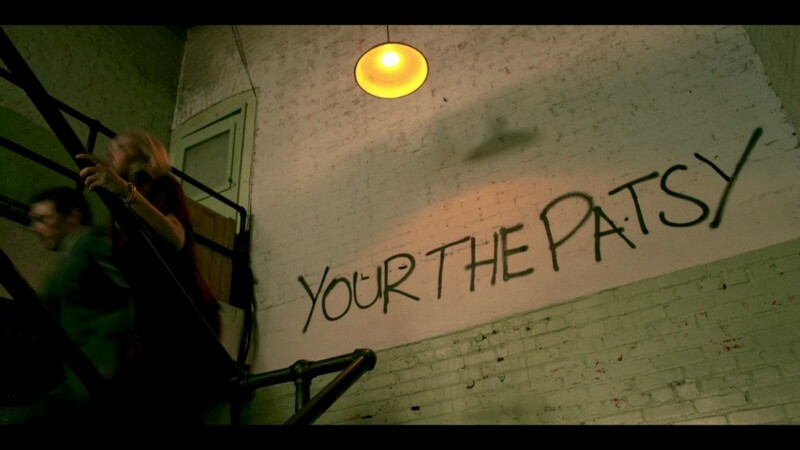 In her final blog post Bridget Carpenter discusses her thoughts on the changes she made from the book, that final dance scene, and why the your is spelled wrong in that “Your The Patsy” writing. Go behind the scenes with Bridget thanks to Entertainment Weekly. 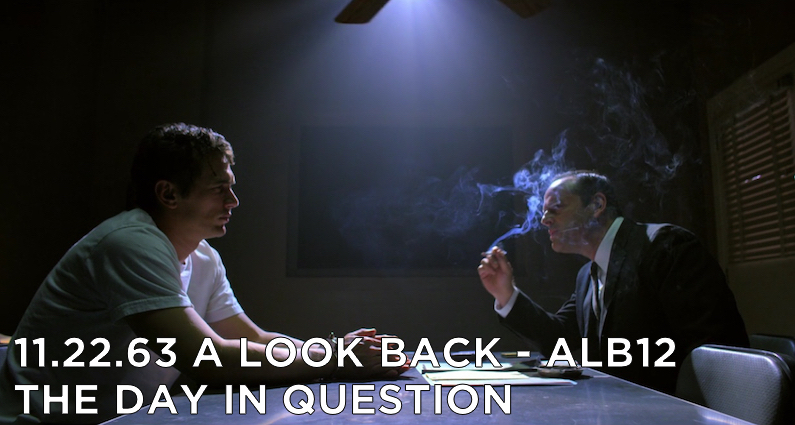 Each week of the event series 11.22.63 on Hulu, will take a deep look at both the minor and major plot lines to this fantastic series and book. Be sure to subscribe and review us in iTunes, Stitcher, or through whichever podcast app you prefer. Also check out our other Golden Spiral Media Podcasts. Thanks for listening! We’ll talk to you soon. Remember the past is obdurate, and life turns on a dime. Exactly even showing up and disturbing the dirt or the wind pattern is a change… I think the series really focused on the bigger the change… the harder the past pushes back and the harder it tries to correct itself. And when it can’t the alternate option is far worse. Just the meeting in Lisbon alone plants a seed in Sadie’s head for the ending and may caused Sadie not to marry Johnny at all.